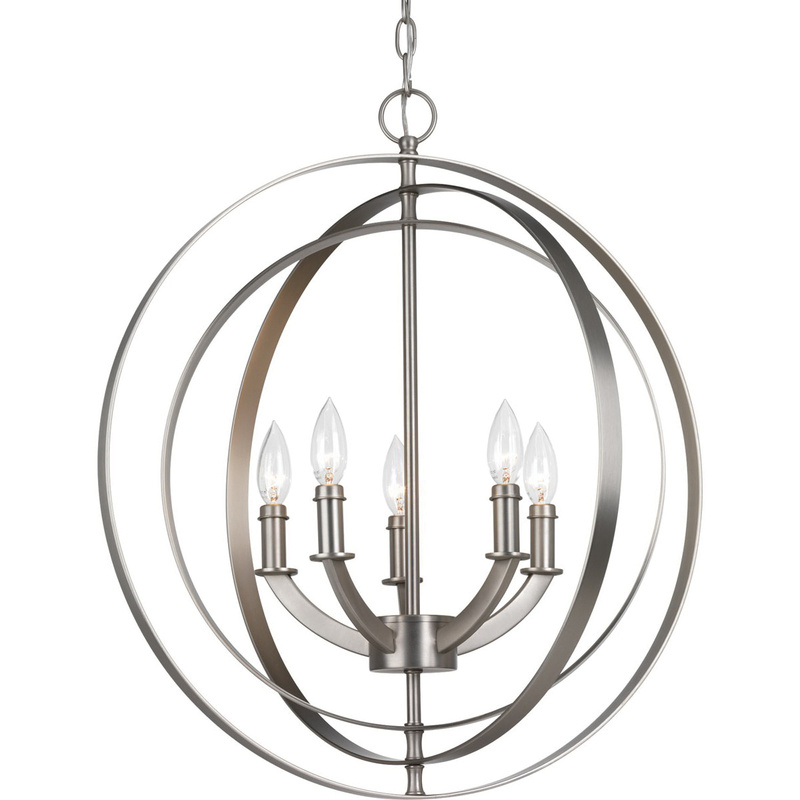 Progress Lighting Equinox Collection 5-Light chandelier in burnished silver finish, features steel construction. This traditional/classic style chandelier uses five 60-Watt candelabra phenolic incandescent lamps. It measures 22-Inch x 24-3/8-Inch. This ceiling mountable chandelier comes with 72-Inch chain and 15-ft lead wire for easy installation. Chandelier is UL/cUL listed.